Waad Academy has agreed with White Mountain Technologies to purchase and deploy Skoolee school management and student information system. 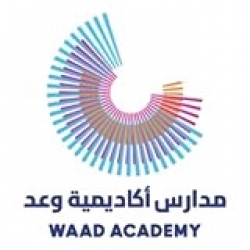 Waad Academy is owned by Waad Holding Company, and is a new school opening in Jeddah, KSA. Intent on providing good education and management, it put forth a meticulous selection process for an SIS that best fits its expectations; a process that demands a series of demos, assessments, and fit/gap analyses. By choosing Skoolee, Waad looks to deploy a robust, tried, and scalable solution that helps in managing a wide spectrum of school functions. Moreover, the know-how and services that WMT provides ensure successful project management, software implementation, end-user training, solution hand-over, after-sales support, and system maintenance, as well as productive user experience. A major implementation milestone at Waad Academy is integrating Skoolee with Canvas. Canvas is a learning management system from Instructure for K-12 and Higher Ed., and is cloud-hosted. This integration puts into effect automatic synchronization and exchange of information between Skoolee and Canvas, such as those pertaining to enrollment, terms, courses, sections, assignments, and grades. Technically, this integration is carried via API’s. Integrating Skoolee (the SIS) with Canvas (the LMS) opens the door to a cohesive, expansive platform covering almost all of the learning and educational activities that are going on in the school. As an entry port to this established platform, and a logical next step for that matter, Waad has asked WMT to implement single sign-on access, which provides the end-user with a single log-in to the many systems in place at Waad.